Apple has filed a countersuit against Qualcomm, alleging that Qualcomm's Snapdragon mobile phone chips, which power a wide variety of Android-based devices, infringe on Apple's patents, the latest development in a long-running dispute. Apple has denied the claims that it violated Qualcomm's battery life patents and alleged that Qualcomm's patents were invalid, a common move in such cases. But on Wednesday, in a filing in US District Court in San Diego, Apple revised its answer to Qualcomm's complaint with accusations of its own. Apple alleges it owns at least eight battery life patents that Qualcomm has violated. In its filing, Apple alleges that Qualcomm's Snapdragon 800 and 820 processors, which power phones from Samsung Electronics and Alphabet’s Google's Pixel phones, infringe on those patents. Samsung and Google are not named in Apple's counterclaims. "Apple began seeking those patents years before Qualcomm began seeking the patents it asserts against Apple in this case," the company wrote in its complaint. In January, Apple sued Qualcomm for nearly US$1 billion in patent royalty rebates that Qualcomm allegedly withheld from Apple. In a related suit, Qualcomm sued the contract manufacturers that make Apple's phones, but Apple joined in to defend them. 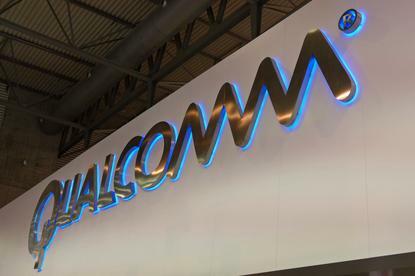 Separately, Qualcomm is facing a lawsuit from the US Federal Trade Commission over many of the same pricing practices Apple names in its complaints.